Lundy claims after the accident, he was pressured twice by executives with Fishing Company of Alaska to withhold testimony. Lundy had worked for the company since 1991 and wanted to keep his job, so reluctantly withheld this important information about vents being blocked and the fishmaster’s refusal to provide access. Lundy kept silent but was let go in 2009. Konno died in the accident along with four other crewmembers. The flooding caused a loss of electrical power, which forced the vessel into reverse and may have increased the rate of flooding and made deployment of life rafts more difficult. Half the crew was unable to reach a life raft. Those in the water were suffering from extreme hypothermia when they were rescued floating in their survival suits. The quick efforts of the U.S. Coast Guard helicopter crew and a good Samaritan vessel saved many lives. The Alaska Ranger went down in 6000 feet of water. Lundy has now come forward to set the record straight. Lundy claims that had he won that disagreement with Konno (who did not have the authority to refuse Lundy’s request) he would have been able to close the vents, which may have delayed or prevented the sinking of the vessel. Jones Act Law requires vessels to be skippered by U.S. citizens. It is illegal for a foreign national to operate a U.S.-flagged commercial vessel, and this was exactly what was happening aboard the Alaska Ranger. Crew members testified that Satoshi Konno, a Japanese national, was constantly overstepping his authority and often took control of the vessel, even though Steve Slotvig was an acting skipper at the beginning of the voyage. Slotvig eventually left the vessel and was replaced by Peter Jacobsen, who had little experience as a skipper. This practice happens all too often and is called a “paper captain”. If the Coast Guard finds evidence of a paper captain with a foreign national in control of a vessel, a criminal fine of up to $15,000 per day may be imposed on the vessel owner. The U.S. Coast Guard is cracking down hard on vessel owners using this tactic. Lundy’s late disclosure highlights an issue that has plagued Fishing Company of Alaska for many years. FCA has been persistently dogged with allegations that it was controlled by non-U.S. citizens. Critics point to story after story in which people working on the vessel claim that the Japanese fishmaster was the individual in actual control of the operation. United States law requires that the ownership and “control” of an American flagged vessel be held by United States citizens. Many – perhaps most – fishing companies that operate in Alaska have some foreign involvement and investment. Some have minority ownership interests in the company. However, Lundy’s story is the latest in a long string of accounts in which the foreign fishmaster at FCA was the one in control of the ship. How the Coast Guard and other enforcement agencies respond to this latest disclosure will be of great interest. The Alaska Ranger was a Factory Ship, or fish processing vessel, which caught and then processed and froze the catch on board. The accident is a grave reminder that this is an aging fleet. Maintenance and replacement is mandatory if we are to keep our workers safe. The final report can be found on the U.S. Coast Guard website. Stacey and Jacobsen, PLLC was retained by eleven of the crewmen who survived the sinking of the Alaska Ranger. The surviving crewmen were able to make claims for personal injuries and psychological fear and fright after their near-death experience under the Jones Act. Stacey and Jacobsen, PLLC also represented the estate of one of the deceased crewman aboard the Alaska Ranger. The lawyers at Stacey & Jacobsen, PLLC have a long history of successfully pursuing wrongful death claims for injured seamen. 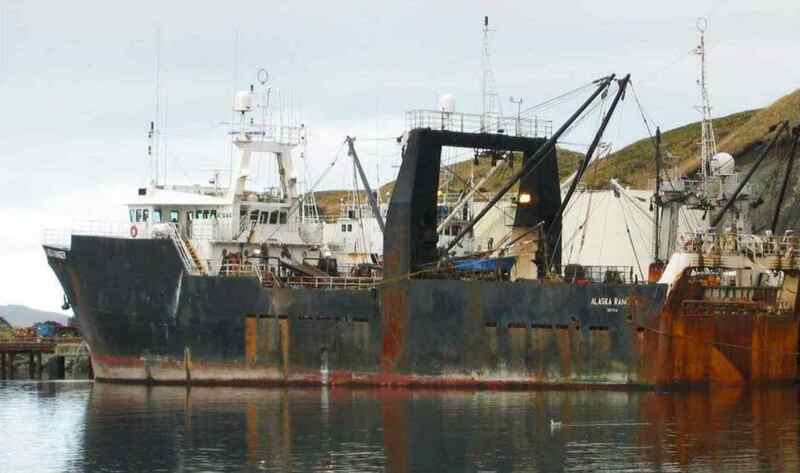 They were the lawyers in such high profiled fishing vessel sinking cases as the Destination, Katmai, Galaxy, Arctic Rose, Aleutian Enterprise, Pacific Apollo, Amber Dawn, Vestfjord, Pace Setter, and Lin J. They have the knowledge, skill, and experience necessary to take on the tough cases and get deserved results for their clients.